Louis C.K. Made a Movie in 1998. He Just Released it for $5. Should You See it? In our rarely-running kinda-series Should You See It? we talk about movies that just came out. You can figure out the rest of the premise from the title of the series. That’s right: we talk recipes. Should you see Louis C.K.’s “lost” movie Tomorrow Night? The entire world knows who Louis C.K. is, more or less. Sure, you have to restrict that to the “English-speaking world” and within that “people with TV or web access” and within that “people who aren’t the worst or have friends who aren’t the worst” but that’s basically everyone. The unlikely hero of American alt-comedy (and really more than that, but let’s leave it there) shows up on Facebook whenever he weighs in on people whining about the Internet on planes or kids with cellphones. This is great, because it means that more people have access to someone that everyone should already love. Louis C.K. is one of the few comics (see also: Oswalt, Patton) that you absolutely have to like if you like comedy. He’s unassailable because he is unstoppable. He helped pioneer the idea of writing a new hour every year and retiring the old one completely. He still does it better than just about anyone and he’s as such raised the bar so high that comedy is in a better place in 2014 than almost ever in history. If that sounds like high praise, good. You don’t need me to tell you Louis C.K. is one of the greatest comedic minds of our generation, but you might want me to give a quick history lesson. Louis C.K. comes from the old guard of comics that you expect your friends to know but don’t. He made it where many of them didn’t, and that’s into the world of people who don’t “know” stand up comedy. Louis C.K. is a name that someone who didn’t hear a single comedy album or watch a single comedy special last year will still likely know. 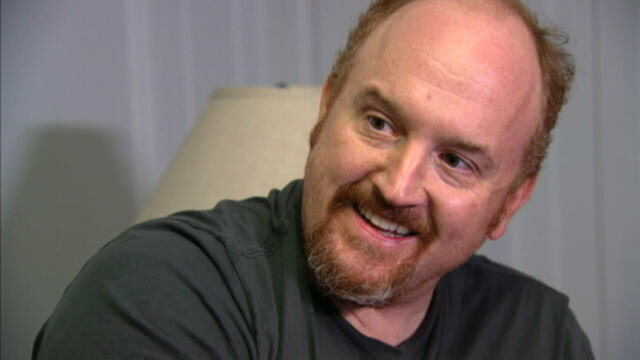 He transcended comedy geekdom in a lot of ways, but the one that’s most interesting is with his show Louie. Louie is a 30-minute exploration of the fictionalized life of Louis C.K. He shows the gritty, depressing, and sometimes-funny world of raising two daughters and not understanding the cards dealt to a person. It’s beyond me to describe it — it’s my favorite show on television, and the number two spot isn’t close — but all that need be said is that it is an Emmy-winning show that is essentially labeled perfect by the people that label TV for a living. Even if it isn’t your favorite show or you don’t even watch it, you have to be aware of the fanfare around Louie. Louis C.K. made a show before Louie for HBO: Lucky Louie. There’s a different sensibility to Lucky Louie. The dark-at-times, surreal-all-the-time nature of Louie is replaced by brighter-but-not-happier themes and situations. Lucky Louie is about another fictionalized Louis married to Pamela Adlon (who you most likely know as the voice of Bobby from King of the Hill). They’re broke, they have a kid, and they live imperfect lives. It’s a show that Louis C.K. has likened to a modern-day The Honeymooners for good reason. Life is hard for the people in the world of Lucky Louie, but it’s a life worth living. On Wednesday at noon, Louis C.K. released a feature-length film he made in 1998. You can go buy it and watch it for five bucks. I’m just not sure you’re going to like it. It depends on what you want out of Louis C.K. It’s weird, but everything’s weird about Louis C.K. His “big break” in stand up style came when he started talking honestly about how hard it was to sometimes hate things he wasn’t supposed to hate. He talked honestly about the struggles of marriage and raising children and he didn’t couch his feelings in the typical hypotheticals. He brought a new voice that demanded to be heard because it didn’t sound like anything else. Tomorrow Night is weird for a lot of reasons. He talked about the movie on his recent appearance on The Daily Show with Jon Stewart and detailed the story of borrowing money to make it. His description to Jon Stewart — that it’s a movie about a guy sexually excited by sitting in ice cream — is technically a true description, but it masks the tone of the movie completely. The main character works in a photo store. He’s miserable because he can’t stand the untidiness of life. He decides that the way he can take back his little corner of the world is to call up every single person who has photos waiting to be picked up — the first of many reminders that it’s almost two decades ago in the world of this movie — and demand that they come in that day. That drives the action. The guy meets a hypersexual woman who tries to seduce him and a mailman (played by J.B. Smoove, who is seemingly always just his character from Curb Your Enthusiasm) who wants him to get out of his shell. At night, he goes home and sits in bowls of ice cream. It’s an absurd way to show that the character leads a double life. He’s obsessed with cleanliness, so he must defile himself in a graphic way to experience true freedom. He finds himself drawn to an elderly woman who keeps a tidy house and the wheels fall off in increasingly absurd ways. Someone is killed by wild dogs in the street. They go see a 1998 Conan O’Brien (who is a timeless man and possibly a wizard). They ride in carnival rides. There’s lots going on. The movie isn’t “random” or exactly “surreal” because all of this really happens and it all happens for a reason. It’s just a little bit too much. One character, a dopey soldier stuck forever “at war,” sends letters hope to his mother only to have them all be thrown away by two cackling mail room guys played by Steve Carell and Robert Smigel. The results are hilarious here (and possibly worth viewing on their own) but they don’t fit well with the surrounding set pieces. Tomorrow Night is more Louie than Lucky Louie, but it’s a little bit of both. It’s getting mixed reviews for good reason: parts of it are just bad. The husband of the elderly woman is played so cartoonishly evil that it’s impossible to even hate him. Lucky Louie-veteran Rick Shapiro plays a woman in mostly-unexplained drag that doesn’t really go anywhere. A lot of this movie is Louis C.K. saying “it would be funny if X happened” and going for it. He’s mostly right, but the results aren’t essential viewing. Should You See It? It depends on your level of obsession with the creator. If you love the sensibility of Louie, there’s something here for you. If you don’t, or if you can’t get past that “sitting in ice cream naked” is supposed to represent something else less gross, then you can probably skip this. It’s a great piece of history to have, but it’s going to be too weird for people who just think he’s really damn funny.